Montée du Géant – Rise of the Giant. Le Géant du Tourmalet is the statue on top of the col which is removed in October for safe keeping and returned to the summit in June each year. This year it will be on Saturday 7th June from Bagnéres de Bigorre. Depart is at 09:30 and should be at the summit for 11:30. 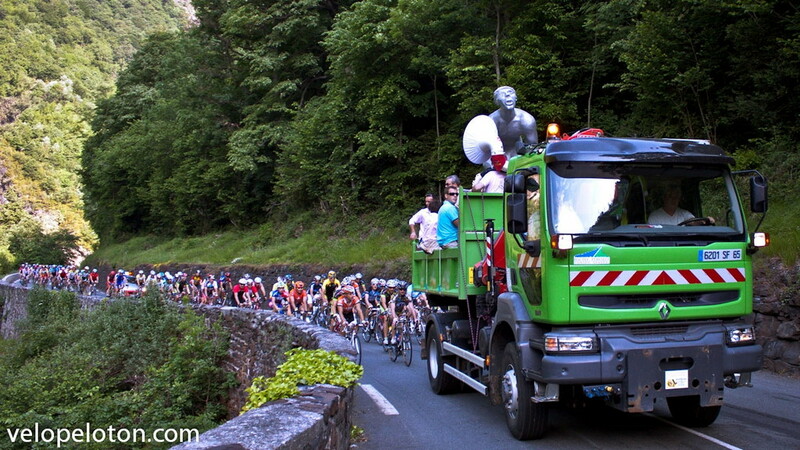 There is usually about 1000 cyclists to accompany Le Géant on his return to the mountain. A great day out, if you are in the area don’t miss it. The special guest will be TV presenter and producer, Gérard Holtz. Gérard has been presenter of Tour de France on French TV since 1985. I hope the weather better than last year. So cold and wet. Brill pics Paddy, well done, thanks for sharing.